Driven by the rising demand for higher bandwidth and faster speed connections for a variety of industrial and residential purposes, fiber optic transmission using optical fiber is becoming more and more common in modern society. In this tutorial, the advantages and disadvantages of fiber optic transmission will be explored in details. Usually, a fiber optic communication system consists of three main components: optical transmitter, fiber optic cable, and an optical receiver. The optical transmitter converts electrical signal to optical signal; the fiber optic cable carries the optical signal from the optical transmitter to the optical receiver, and the optical receiver reconverts the optical signal to an electrical signal. The most commonly used optical transmitter is semiconductor devices like LEDs (light-emitting diodes) and laser diodes. The photodetector is the key part of an optical receiver. It converts light into electricity using the photodetector effect. As for the fiber optic cable, there is too much to say. As the use and demand for speed and bandwidth, the development of optical cables is amazing. Now in the optical cable market, there are OS2 fIber, OM1 fIber, OM2 fIber, OM3 fIber, OM4 fiber, and OM5 fiber cable for different optical applications. Optical fibers are used as a medium for telecommunication and networking because it is flexible and can be bundled as cables. It is especially advantageous for long-distance communications because light propagates through the fiber with little attenuation compared to electrical copper cables. Given the speed and bandwidth advantages, an optical fiber has over copper cable, it also contains some drawbacks. Here are the advantages and disadvantages of optical fiber cable. Greater Bandwidth & Faster Speed—Optical fiber cable supports extremely high bandwidth and speed. The amount of information that can be transmitted per unit of optical fiber cable is its most significant advantage. Cheap—Several miles of optical fiber cable can be made cheaper than equivalent lengths of copper wire. With numerous vendors swarm to compete for the market share, optical cable price would sure to drop. Thinner and Light-weighted—Optical fiber is thinner and can be drawn to smaller diameters than copper wire. They are of smaller size and lightweight than a comparable copper wire cable, offering a better fit for places where space is a concern. Higher carrying capacity—Because optical fibers are much thinner than copper wires, more fibers can be bundled into a given-diameter cable. This allows more phone lines to go over the same cable or more channels to come through the cable into your cable TV box. 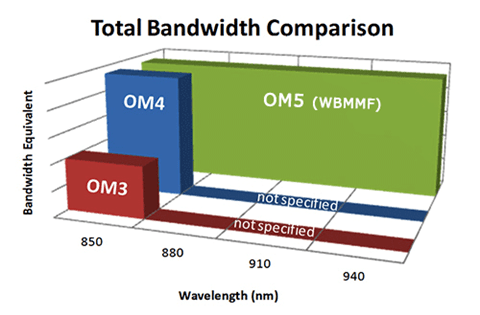 Less signal degradation—The loss of signal in optical fiber is less than that in copper wire. Light signals—Unlike electrical signals transmitted in copper wires, light signals from one fiber do not interfere with those of other fibers in the same fiber cable. This means clearer phone conversations or TV reception. Long Lifespan—Optical fibers usually have a longer life cycle for over 100 years. Limited Application—Fiber optic cable can only be used on the ground, and it cannot leave the ground or work with mobile communication. Low Power—Light emitting sources are limited to low power. Although high power emitters are available to improve power supply, it would add extra cost. Fragility—Optical fiber is rather fragile and more vulnerable to damage compared to copper wires. You’d better not to twist or bend fiber optic cables. Distance—The distance between the transmitter and receiver should keep short or repeaters are needed to boost the signal. How to Select the Right Optical Fiber Cable? 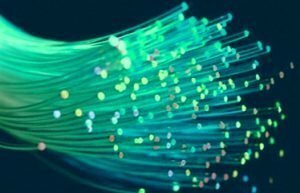 The optical fiber has gained much momentum in communication networks, and there emerges a dazzling array of vendors competing to manufacture and supply fiber optic cables. When selecting optical fiber, you’d better start with a reliable vendor. Here’s a guide to clarify some of the confusions about choosing fiber optic cable. The major optical cable manufacturers should be granted ISO9001 quality system certification, ISO4001 international environment system certification, the ROHS, the relevant national and international institutions certification such as the Ministry of Information Industry, UL certification and etc. The standard jacket type of optical cable is OFNR, which stands for “Optical Fiber Non-conductive Riser”. Besides, optical fibers are also available with OFNP, or plenum jackets, which are suitable for use in plenum environments such as drop-ceilings or raised floors. Another jacket option is LSZH. Short for “Low Smoke Zero Halogen”, it is made from special compounds which give off very little smoke and no toxic when put on fire. So always refer to the local fire code authority to clarify the installation requirement before choosing the jacket type. The choice greatly depends on your application. The major difference between indoor and outdoor fiber cable is water blocking feature. Outdoor cables are designed to protect the fibers from years of exposure to moisture. In a campus environment, you can get cables with two jackets: an outer PE jacket that withstands moisture and an inner PVC jacket that is UL-rated for fire retardancy. You can bring the cable into a building, strip off the PE jacket and run it anywhere, while normal outdoor cables are limited to 50 feet inside the building. Both indoor and outdoor fiber cable have a vast option of fiber count ranging from 4-144 fibers. If your fiber demand exceeds this range, you can custom the fiber count for indoor or outdoor optical cable. Unless you are making fiber patch cords or hooking up a simple link with two fibers, it is highly recommended to get some spare fibers. Obviously, the advantages of optical fiber communication in various aspects contribute to the rapid development of optical fiber communication. Although it’s still with some disadvantages, and it will be improved with the future development of tech. Let’s expect it together. Fiber-mart is a renowned vendor that committed to develop and supply optical fiber of all types, including fiber patch cable, indoor/outdoor optical cable and FTTH fiber optical cable, etc. Each of our fiber optic cable is tested in a strict environment to deliver excellence in performance and reliability. Fiber-Mart department with core technical knowledge provides strong innovative capability. Fiber-Mart outstanding performance can meet the need of the customer.